Further to Patricia Moon’s comment here yesterday about having been contacted by Stephanie Soong Johnston of TaxAnalysts regarding the European Union’s resolution to open negotiations on FATCA with the US, Ms. Johnston’s article appeared today: EU Lawmakers Vote to Kick Start FATCA Talks With United States. 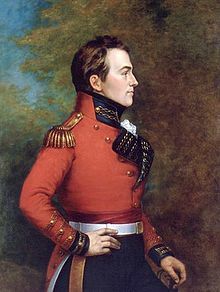 It contains several quotes and observations by John Richardson along with mention of the Isaac Brock Society and ADCS. ” . . . . John Richardson, a lawyer speaking on behalf of advocacy groups the Isaac Brock Society and the Alliance for the Defence of Canadian Sovereignty, noted that only a few countries confer citizenship based only on birth in their countries and that only two countries impose worldwide taxation based only on citizenship: the United States and Eritrea. The United States, however, is the only country to do both, according to Richardson. Richardson welcomed the EU resolution because it recognizes that the United States is imposing worldwide taxation on people who are tax residents of Europe and have no connection with the United States, adding that the combination of FATCA and U.S. citizenship-based taxation has rendered the citizens and residents of other countries as second-class citizens in their home countries. We’ll be getting together for lunch Saturday, 26 May 2018, at 1:00 pm at Montana’s BBQ Restaurant, 1711 Merivale Road (closest major cross-street Viewmount), Nepean. Plenty of free parking on site, also accessible by city bus. The paper is based on her posts on investment constraints at the Fix The Tax Treaty Blog, but much more technical (I still found it very readable and useful as a layperson). It deals with both issues specific to Australia, such as superannuation, and issues affecting all US persons residing outside the US regardless of country. Karen is the founder of Australia’s FixTheTaxTreaty and a frequent commenter here at Brock.